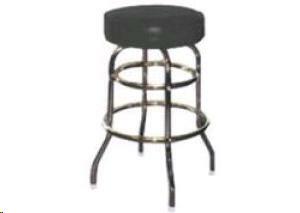 Chrome double ring bar stool with a black vinyl seat. 29" High. * Please call us with any questions about our bar stool rentals in Sacramento and Citrus Heights, serving Auburn, Placerville, Woodland, Davis, and Elk Grove in the Sacramento area.